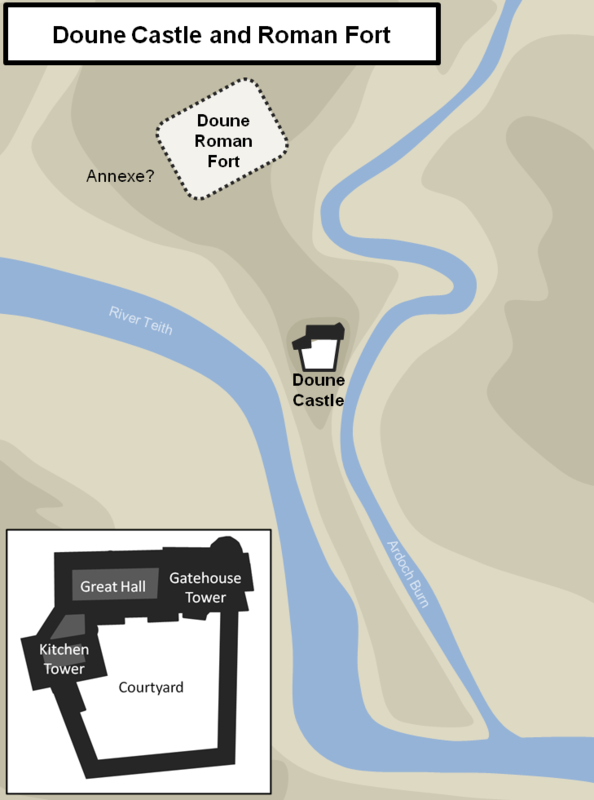 Doune Castle was built upon a thin peninsula sandwiched between the River Teith and the Ardoch Burn. The fortification was the stronghold of Robert Stewart, Duke of Albany who became known to history as Scotland’s uncrowned King. It was later besieged during the troubled reign of Mary, Queen of Scots and was briefly held by Jacobites during the 1745 rebellion. Doune is located at the confluence of the River Teith and the Ardoch Burn both of which provided access far inland into the otherwise impenetrable terrain. Accordingly the site was of strategic importance and the long, thin peninsula created by the two waterways was ideally suited for fortification. The name Doune derives from “dun”, meaning stronghold, and may have been the site of an Iron Age (or earlier) fort. However, the first known fortification was built by the Romans in the first century AD. After almost four decades securing England and Wales, the Roman army finally advanced into Scotland in AD 79. Forces under General Gnaeus Julius Agricola established a line of forts along the Forth/Clyde isthmus and, after securing Southern Scotland, campaigned in the north. 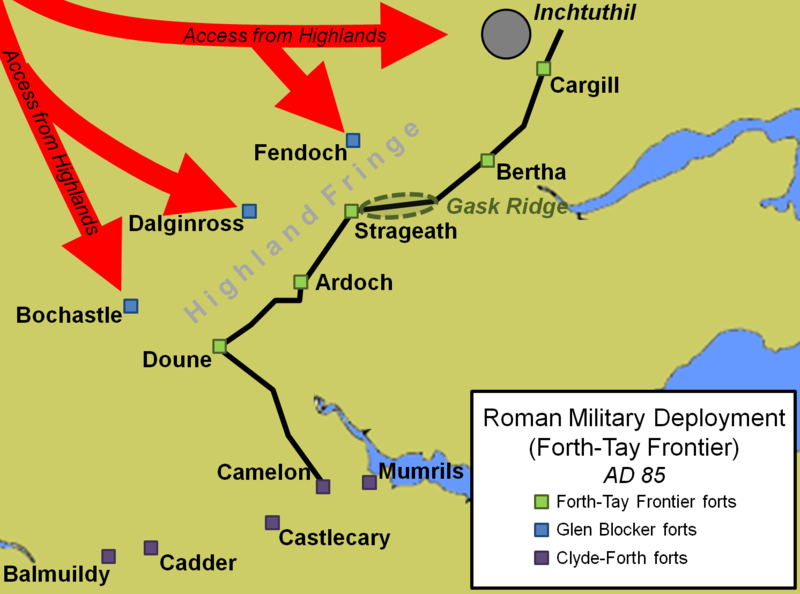 They won a decisive victory at the Battle of Mons Graupius (AD 83) and thereafter built a network of forts between the Rivers Forth and Tay in order to isolate the Highland massif, the source of continued resistance. The lynchpin of the military disposition was a Legionary fortress at Inchtuthil. Connecting these facilities with the wider Roman world was Dere Street, the main Roman road that ran along the eastern spine of Britain. Doune was one of the forts along this road. Doune Roman Fort was configured in the normal ‘playing card’ layout with an additional annexe on the west side. The rampart consisted of an earthwork bank topped with a palisade. It was fronted by a ditch and, at least on the vulnerable northern side, there were additional ditches to provide further protection. In total the fort enclosed around 5 acres. The unit assigned to garrison the fort is unknown but, based on the archaeological evidence, seems to have been at least part mounted. Doune remained occupied until the Romans withdrew from Scotland in the late AD 80s at which time the fort seems to have been deliberately burnt. For the next fifty years, Roman forces consolidated along the Tyne/Solway isthmus ultimately entrenching their position with Hadrian’s Wall. However, the accession of Emperor Antoninus Pius in AD 138 meant that military forces once again invaded Scotland. A new frontier was established along the Forth/Clyde line - the Antonine Wall - and many of the forts to the north were also rebuilt. The former Agricola era forts on Dere Street - Camelon, Ardoch, Strageath and Bertha - were all rebuilt at this time. Strangely there is no evidence to suggest Doune was re-occupied but, given the distance between Camelon and Ardoch, it would be have been unusual military practise if this was not the case. The Antonine Wall was abandoned circa-AD 158. 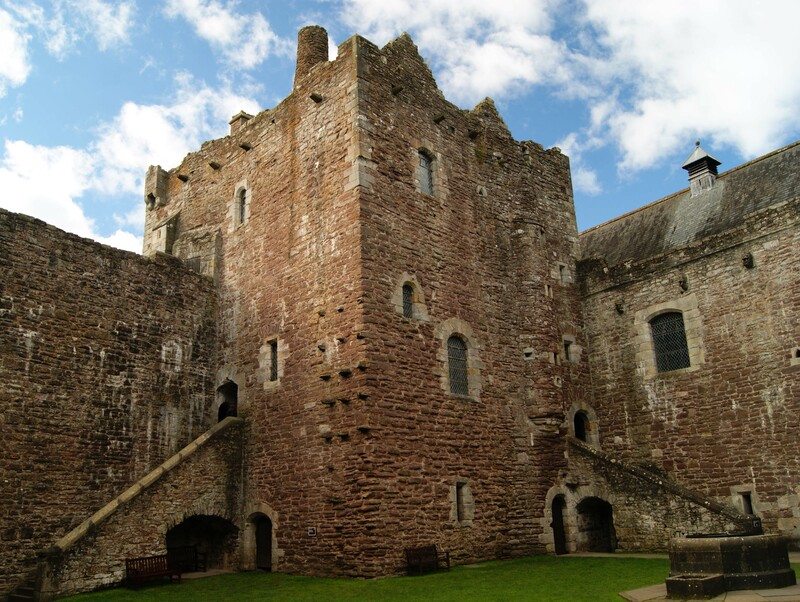 Little is known about the early history of Doune Castle. From the tenth century onwards, the site formed part of the Mormaerdom (and later Earldom) of Menteith, a swathe of territory that stretched between the Rivers Forth and Teith. By the thirteenth century this was dominated by the Stewart family who had their main seat at Inchtalla Castle. However, they also had regional caputs such as Dundonald Castle on the west coast and it has been mooted that Doune performed the same function in the east. If so there would inevitably have been a fortified residence at the location and this is supported by an analysis of the stonework in the lower structure of the later castle which suggests a pre-existing stone building. The castle seen today was built by Robert Stewart. Born around 1340, he was a younger son of Robert II and through marriage he secured the Menteith territories. His ascendancy continued when his elder brother - John Stewart, Earl of Carrick - displaced his father and later took the throne as Robert III (the name change was to avoid connection with the earlier English appointed King John Balliol). However, Robert III suffered a debilitating injury from a horse kick and the death of a key ally - James Douglas, Earl of Douglas - which led to a power vacuum that was ultimately exploited by Robert Stewart. By 1386 he was appointed as Guardian of Scotland and was elevated to Duke of Albany in 1398 - one of the first two Dukedoms ever granted in Scotland. Unfortunately the other one was granted to his nephew David, Duke of Rothesay and the two individuals became embroiled in a power struggle resulting in a three year hiatus in Robert's Guardianship of Scotland. David died in 1402 at Falkland Palace whilst under the care of Robert Stewart "some say of dysentery and some of starvation". Robert was also accused of lacklustre efforts to free James Stewart, heir to the Scottish throne, who had been captured by English pirates and handed over to Henry IV of England. 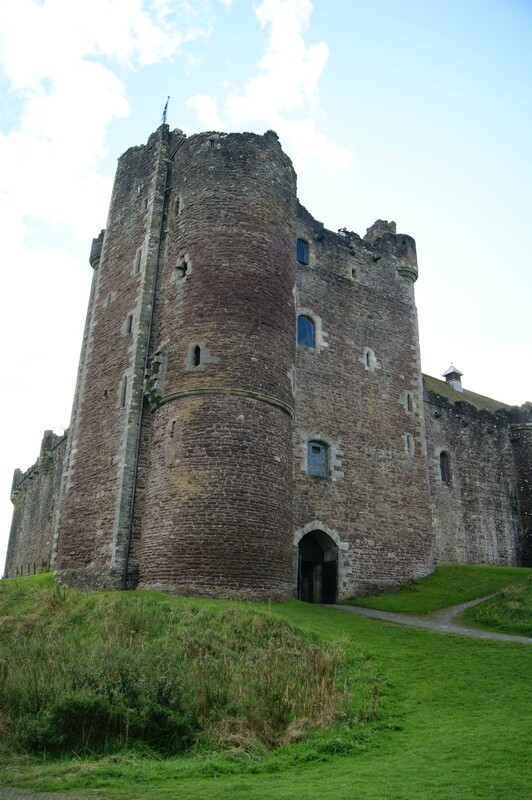 However, whilst Robert allegedly struggled to find the money to release James from captivity, there were ample funds for the construction and fitting out of Doune Castle. Doune Castle was an enclosure castle designed to be equal to contemporary high status fortifications such as those at Bothwell and Caerlaverock. The north-east corner was occupied by a four storey tower house with the gateway into the castle running through its basement. High status accommodation occupied the upper levels. 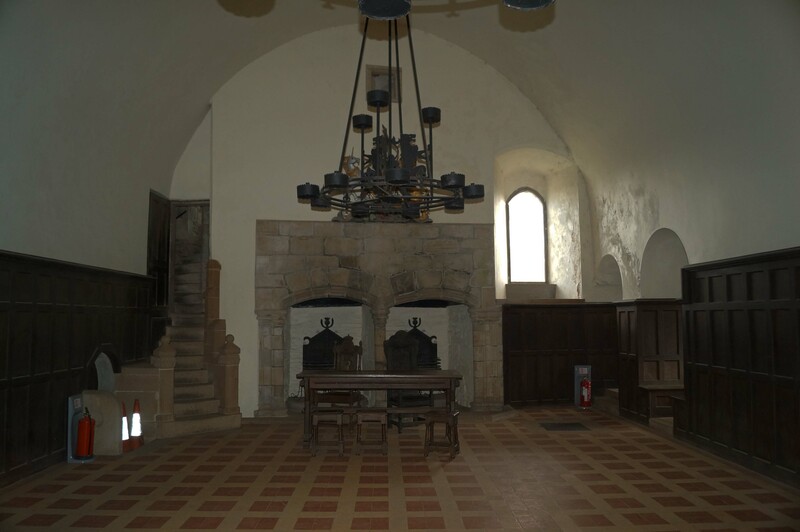 The castle’s Great Hall was located to the west of the tower. Robert Stewart, Duke of Albany died in 1420 and was succeeded by his son, Murdoch. However in 1424 James was released from captivity in England and sought revenge on these he perceived as having been slow to secure his release. Murdoch was executed in 1425 on the grounds of ‘unconstitutional violence’ and Doune Castle taken into Crown ownership. With the proximity of the major Royal fortress of Stirling Castle, there was no need for Doune to function as an administrative centre so it was predominantly used as a hunting lodge. Later it was used as a residence for widowed Scottish Queens including Margaret Tudor, wife to James IV who had been killed at the Battle of Flodden (1513). She appointed her brother-in-law, Sir James Stewart, as Keeper of Doune in 1527. He was killed in a street brawl in Dunblane in 1544 and was followed by his son, another James, who became embroiled in the turbulent politics of the reign of Mary, Queen of Scots. First implicated in the murder of her unpopular Italian advisor, David Riccio, he was later accused of supporting the Queen following her abdication. A force under Matthew Stewart, Earl of Lennox and Regent of Scotland besieged Doune Castle and demanded his surrender. After three days he gave himself up and briefly forfeited the castle. By 1570 though he had been restored and was granted the castle permanently when he was created Lord Doune. 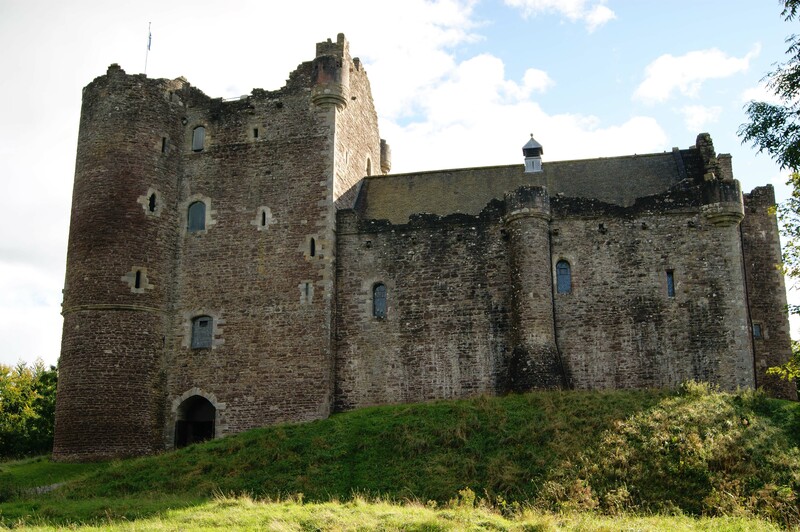 Doune Castle was garrisoned by Government troops during the 1689 and 1715 Jacobite rebellions. However, it was briefly embroiled in the 1745/6 uprising when it was held for Prince Charles Stuart by McGregor of Glengyle with a garrison of 25 men. The castle was then subsequently used as a prison for Government soldiers captured at the Battle of Falkirk in January 1746. The Jacobite garrison withdrew to join the main rebel army as it prepared to fight in the Battle of Culloden (1746). After this the castle was abandoned and slowly drifted into ruin. CANMORE (2016). Doune, Roman Fort and Annexe. Royal Commission on the Ancient and Historical Monuments of Scotland. CANMORE (2016). Doune Castle. Royal Commission on the Ancient and Historical Monuments of Scotland. Dargie, R.L.C (2004). Scottish Castles and Fortifications. GW Publishing, Thatcham. Maxwell, G (1984). Doune Roman fort. Saltar, M (2003). The Castles of the Heart of Scotland. Folly Publications, Malvern. Stevenson, J B (1985). Exploring Scotland's heritage: the Clyde estuary and Central Region, Exploring Scotland's heritage series. Edinburgh. Doune Roman Fort. 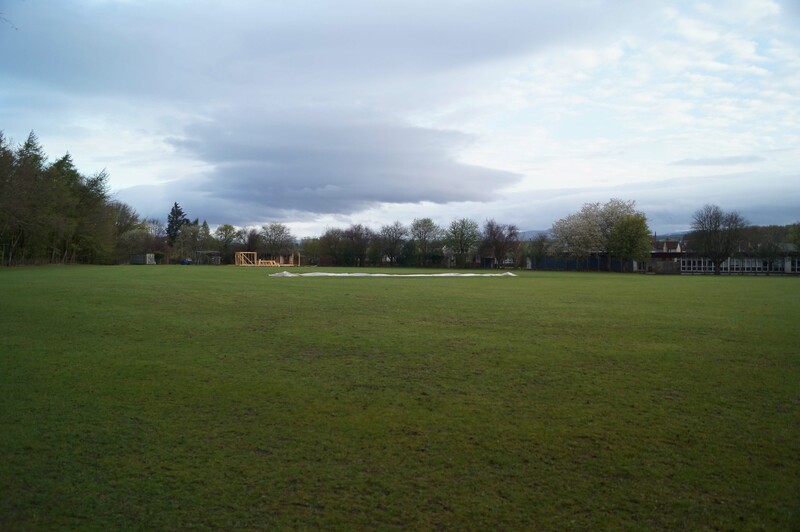 There are no visible remains of the Roman Fort and the site is now occupied by a school and Cricket pitch. The fort was once an important outpost on Dere Street, a major Roman road linking outposts as far north as the River Tay with the south. Context. Both the Roman Fort and the castle were located on a thin peninsula of land between the River Teith and Ardoch Burn. The castle was an enclosure fortification although the date the original curtain wall was constructed is uncertain. The Gatehouse Tower, Great Hall and Kitchen Tower were added around 1390. Gatehouse Tower and Great Hall. The castle's two most prominent features were the Gatehouse Tower (left) and the Great Hall (right). Postern Gate. 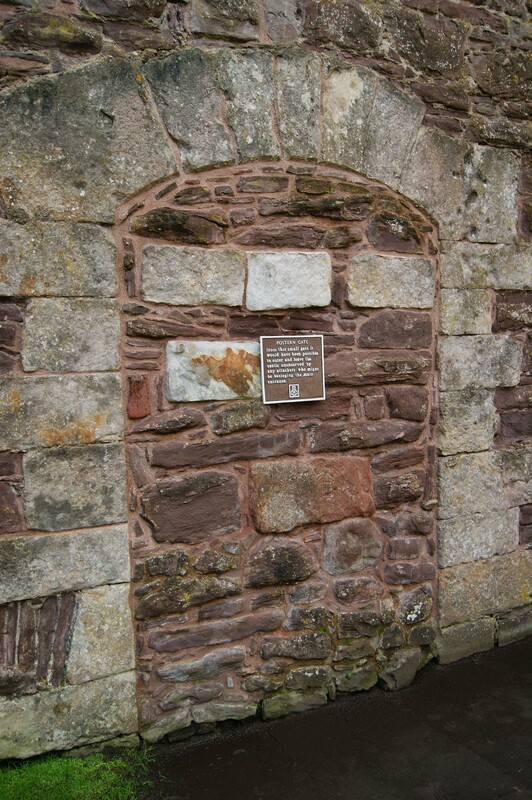 The castle had a small postern gate that provided access to the River Teith. Duke's Hall. Directly adjacent to the Great Hall, the Duke's Hall was a place where administrative business could be conducted and where high status guests could be received. Earthworks. Doune Castle was surrounded by earthworks and, whilst these have not been definitively dated, could be the remains of an Iron Age fortification. River Teith and site of Doune Roman Fort. 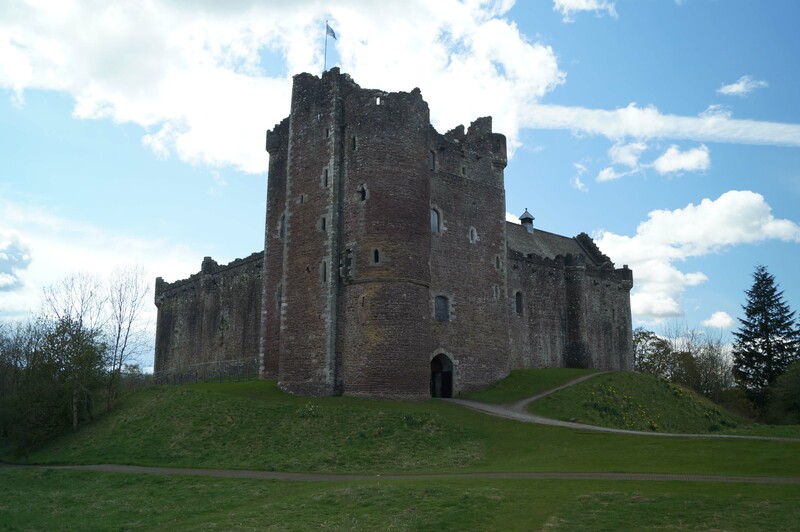 Doune Castle is well sign-posted from the A84. There is a dedicated car park for visitors directly adjacent to the castle and this also provides easy access to the footpath leading to the site of the Roman Fort.